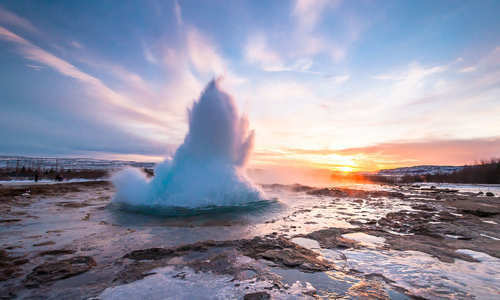 This epic escorted tour captures Iceland at its dramatic best, combining the south’s spectacular national parks with ultra-scenic wilds in the north. Extraordinary natural wonders abound, from otherworldly geothermal landscapes to colossal ice caves and the ethereal glow of the aurora borealis. After your flight to Reykjavik take your included transfer to your hotel. With the rest of the day at leisure, perhaps climb the tower at the spectacularly-tiered Hallgrímskirkja, or delive into the country’s fascinating past at the National Museum. 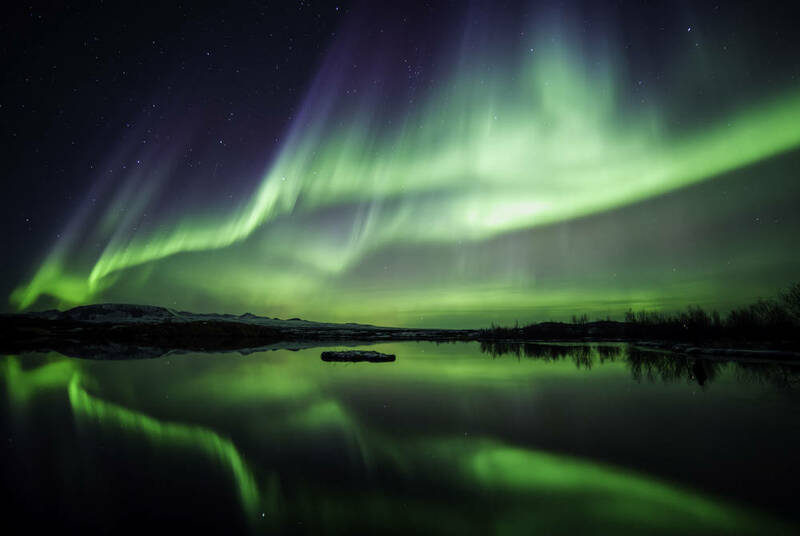 Beyond its historic core, Reykjavik is host to a cutting-edge creative scene – sample a gourmet Nordic restaurant such as Fiskmarkadurinn, or stroll around the countless national galleries. 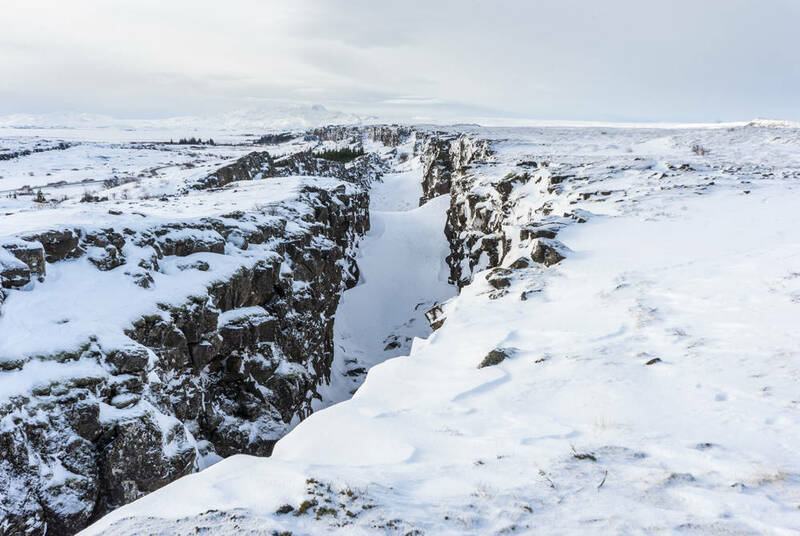 After breakfast, the adventure begins as your coach winds through the Golden Circle’s geothermal wonderland to reach the spectacular Þingvellir National Park, a UNESCO World Heritage site. 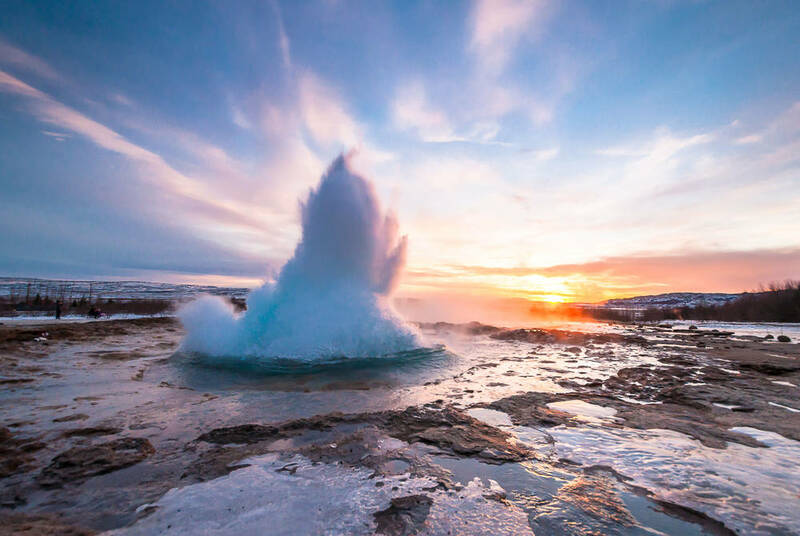 Then, compare the Great Geysir’s bubbling geothermals with Strokkur’s 20 metre-high hot spring spurts, ending the day with the raging two-tiered torrents of the Gullfoss waterfall, its rushing waters interspersed with glassy waves frozen at mid-cascade. Explore Iceland’s southern shores today, all enveloped in winter’s icy throes. 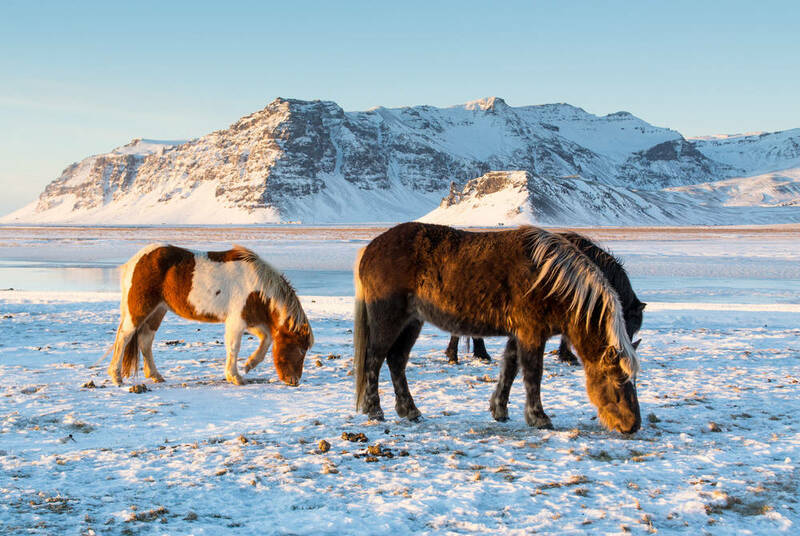 Pass snow-dusted farms home to Icelandic horses, then juxtapose Seljalandsfoss’ serene, icy beauty with the magnificent, milky-blue roar of Skogafoss. Eerie black-sand beaches and jutting rock formations vie for your attention against the ice-slicked expanse of the enormous Myrdalsjokull Glacier before your arrival in Kirkjubæjarklaustur for dinner. 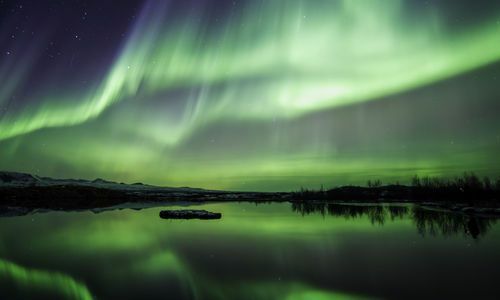 When night falls, keep one eye above to witness, hopefully, the Northern Lights as they cast their captivating spell. More world-class scenery awaits today as you enter the Vatnajökull National Park, where epic waterfalls burst alongside winding rivers and rippling glaciers that seem impossibly in their scale. 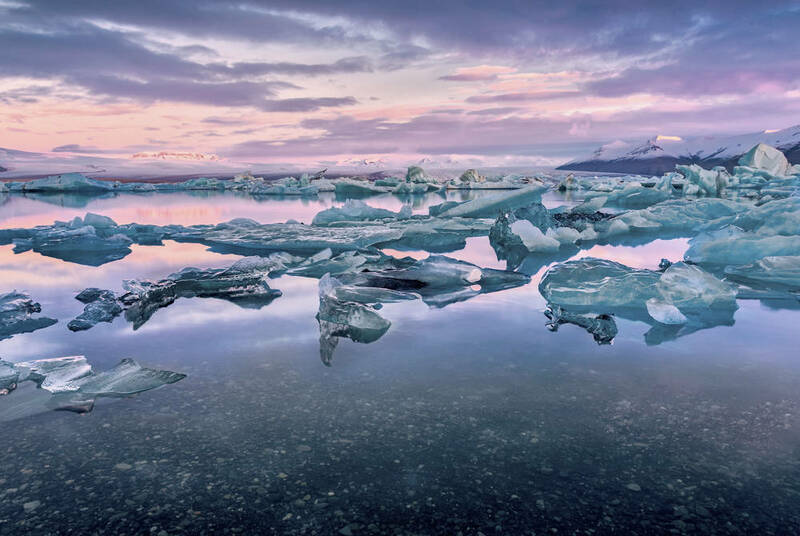 Drive through vast sandy plains, a striking contrast with Jökulsárlón Glacial Lagoon’s blue ice floes and sharp icebergs that pepper the glacial bay. 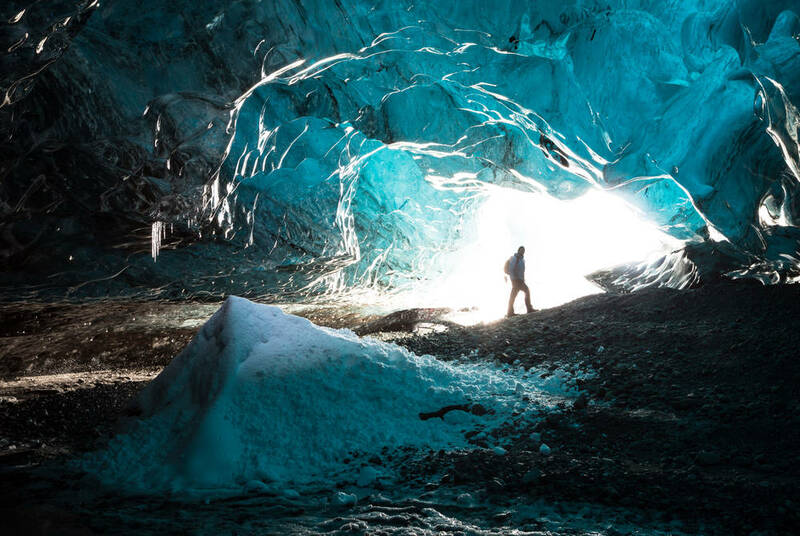 Then, walk among the Svínafellsjökull Glacier’s jagged spikes, ending the day at Skaftafell and its otherworldly ice caves. After breakfast, discover another of Iceland’s boundless appeals in the form of geothermal hot springs. Enjoy a relaxing soak in the village of Hveragerði, where shimmering white crags surround hot-spring baths. 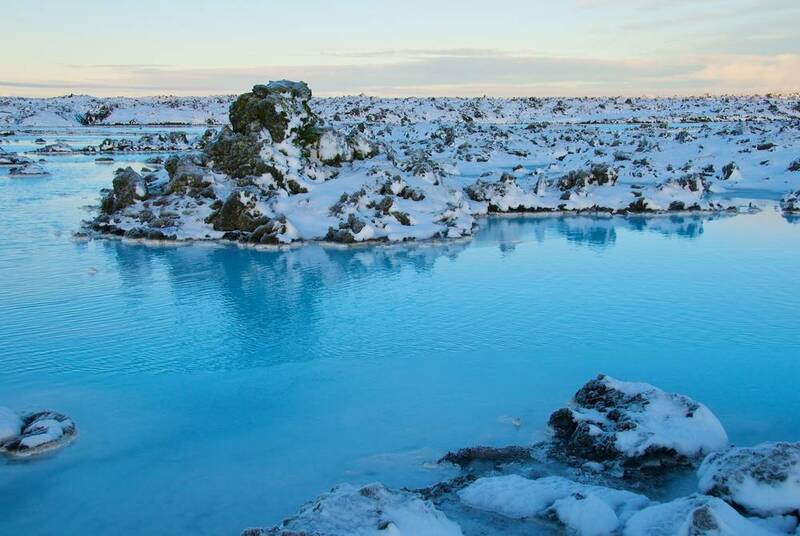 Then, trace the coastline towards the Reykjanes Peninsula to enjoy a dip in the famous Blue Lagoon, the milky blue waters a permanently balmy 37 to 39°C despite the wintry chill. 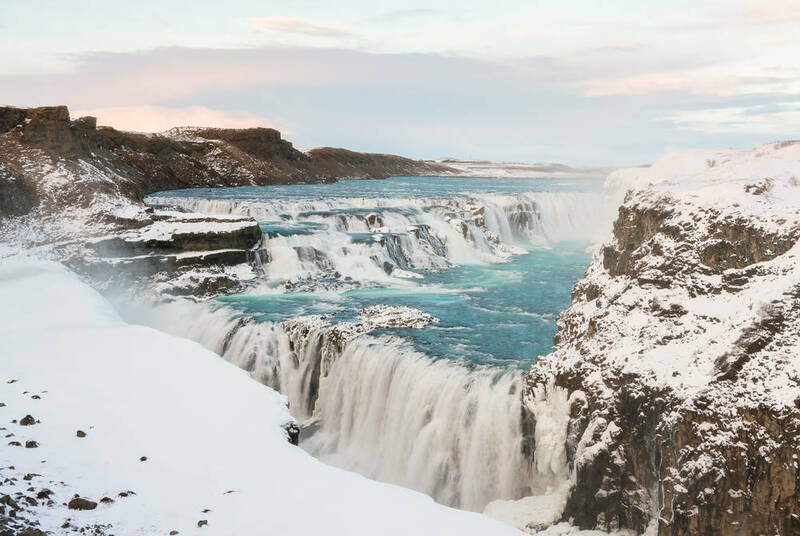 You’ll head to Iceland’s remote north today, speeding through the interior to Goðafoss waterfall, where glacial waters cascade from snow-covered columns in a swirling half-moon pool. 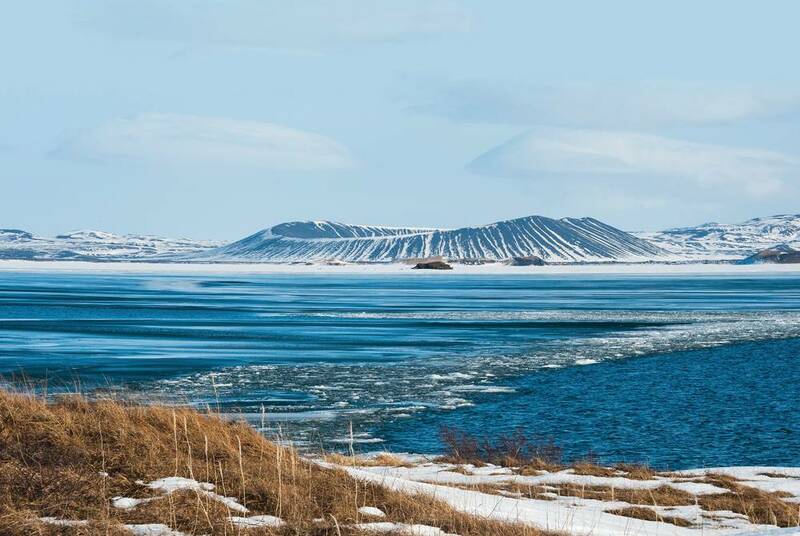 Then head to the volcanic Lake Mývatn, marvelling at the peculiar lava formations at Dimmuborgir and the bubbling mud pits of Namaskard’s geothermal terrain. The fantastical landscapes of Mývatn’s natural hot pools bring the day to a fitting conclusion. Take the scenic road to Eyjafjordur – the longest fjord in Iceland – then onto the Tröllaskagi (the Troll Peninsula), all sheer mountains plunging to the black-sand coastline below. 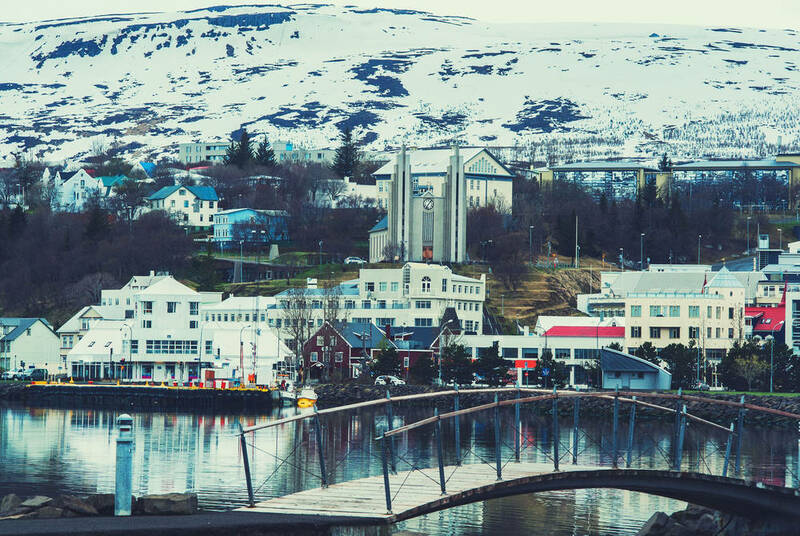 Mountain tunnels and colourful fishing villages await in Siglufjörður, along with the Herring-Era Maritime Museum where you’ll sample local herring and Icelandic schnapps. End the day in remote Akureyri, home to spectacular churches and fascinating museums, capped by a frame of mist-shrouded heights. 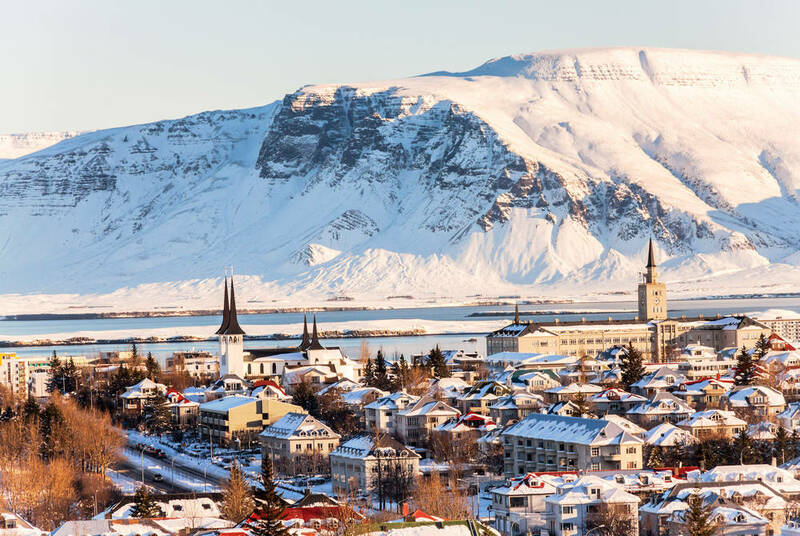 Enjoy a free day to discover Akureyri, home to the most northerly botanical gardens in the world and the distinctive Akureyrarkirkja church that dominates the town. Perhaps take a swim in the nearby geothermal pools, or head further afield to ski the city-framing mountain surrounds or ride horseback along canopied trails. Then, transfer back to Reykjavik for your final night. After breakfast, take your included transfer back to the airport for your flight to the UK.